Serena Williams will be looking to match Margaret Court's grand slam record when she takes on Naomi Osaka in the US Open final on Saturday. More history beckons on Arthur Ashe Stadium for Williams, who is in her second major final since returning to action after giving birth to her daughter last year. The world number 26 overcame sister Venus Williams and Karolina Pliskova en route to the showpiece, while 20-year-old Osaka defeated last year's runner-up Madison Keys in the semi-finals. With the assistance of Opta, we preview the final by looking at some of the standout statistics. 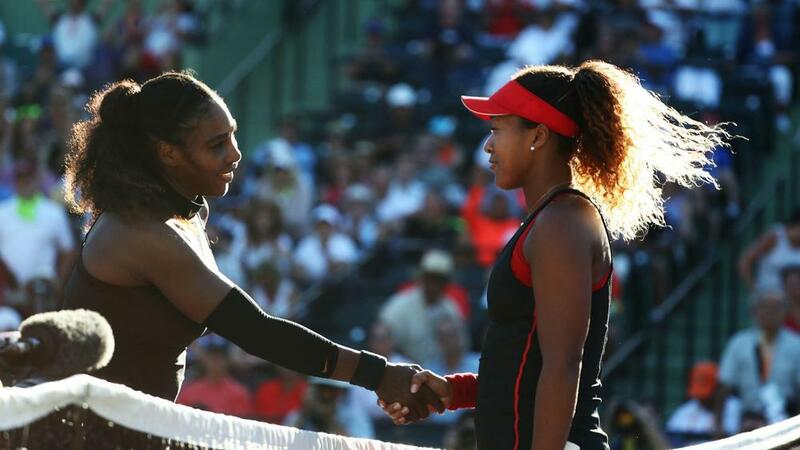 - This will be just the second meeting between Williams and Osaka. The Japanese won their previous encounter in Miami this year 6-3 6-2. - Williams will equal the record for most women's grand slam singles titles if she wins, with Court having won 24, including the period before the Open Era. - If she does not triumph, this will be the American's first season without a major championship win since 2011. - Williams has equalled Steffi Graf as the woman with the third-most major final appearances in the Open Era (31); only Chris Evert (34) and Martina Navratilova (32) have more. This will be Osaka's first. - If Williams wins in New York for a seventh time, she will stand alone as the player with the most US Open titles in the Open Era. - The 36-year-old has reached at least the semi-finals at the US Open 12 times, including her last nine appearances at the event. - Osaka is the first Japanese woman in the Open Era to reach a grand slam singles final. Before the US Open, her best result at a major was reaching the fourth round at this year's Australian Open. - The 20-year-old won the first WTA title of her career this year at the Indian Wells Masters.